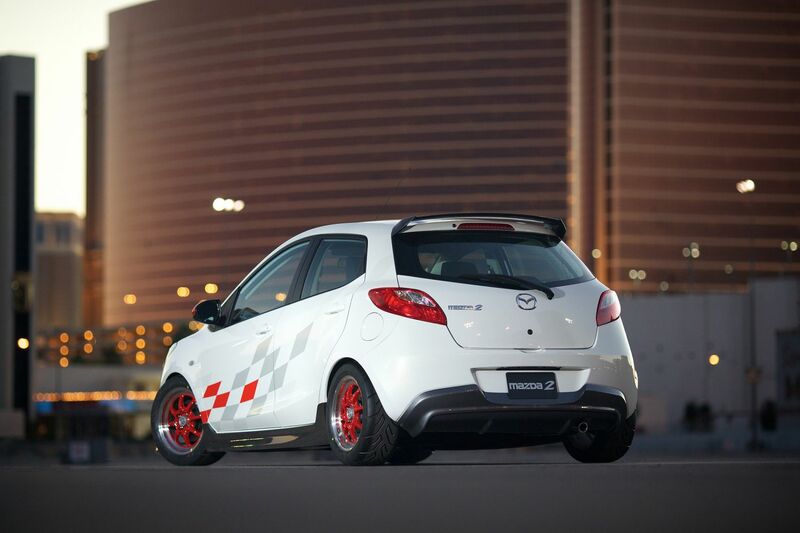 H&R Mazda2 Sport | H&R Special Springs, LP. 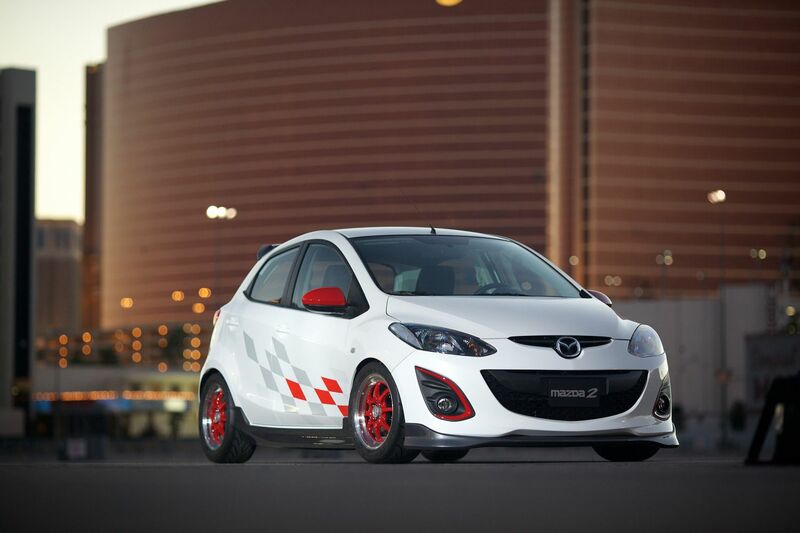 All-new for the North American market, the Mazda2 delivers a combination of athletic design, dynamic performance and driving refinement to the sub-compact segment. 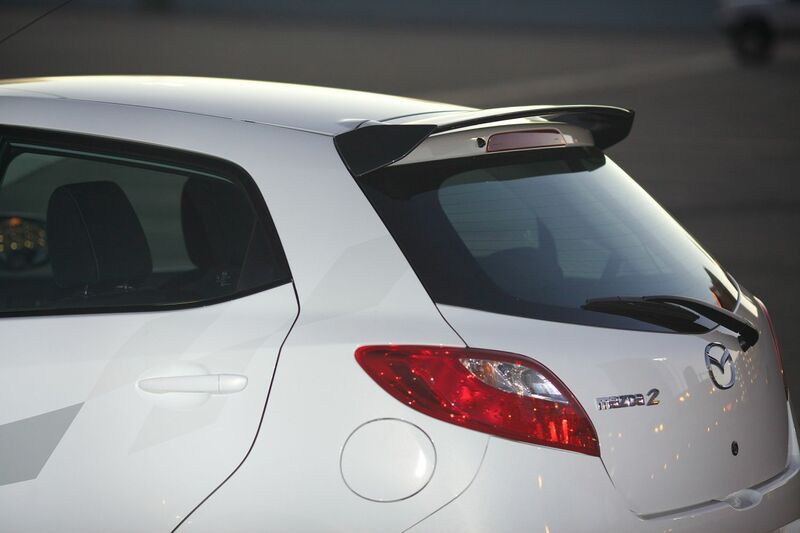 In keeping with this theme, H&R fitted an entry-level Mazda2 Sport five-door hatchback with a few performance enhancements, and affected stylistic touches that key on the Mazda2’s fun, sporty nature. 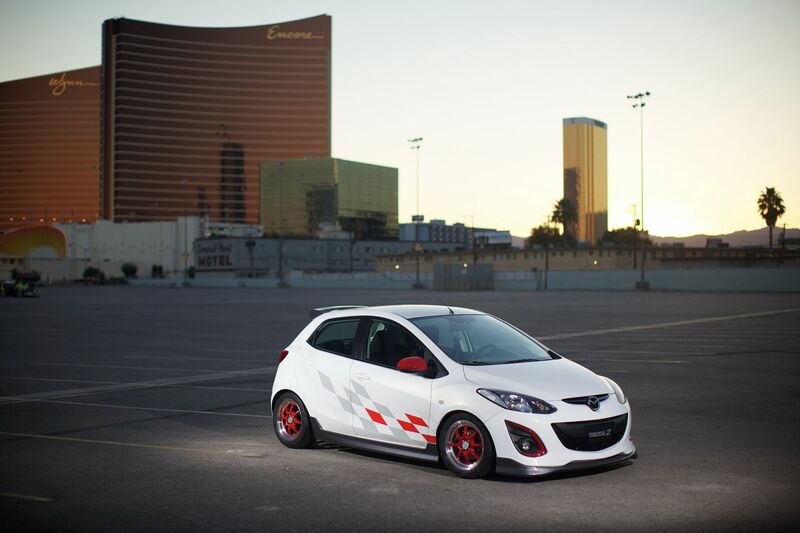 To start with, H&R fitted the Mazda2 with its H&R Street Performance Coil-Overs. As the name would imply, H&R Street Performance Coil Overs are designed for street use, and as such, deliver precise handing as well as a compliant ride. Each H&R Street Performance Coil Over is application specific and features a custom-valved, threaded shock that is adjustable to achieve anywhere from 1.0-2.5 inches of lowering. Paired with a precision-engineered progressive rate spring, H&R Street Performance Coil Overs create a finely tuned suspension system. The stock wheels and tires were replaced with 15 x 7-inch Enkei J-Speed wheels and Yokohama 205/50R15 ADVAN A048 tires. The perfect wheel offset was achieved through the use of H&R TRAK + wheel spacers, which are made from a proprietary aluminum magnesium alloy and are available in widths ranging from 3mm to 65 mm. The wheel centers were painted in bright red to match the custom paint scheme by Tri-Star Enterprise in Bellingham, WA. and checkered graphic scheme by Sticky Jewel Graphics. 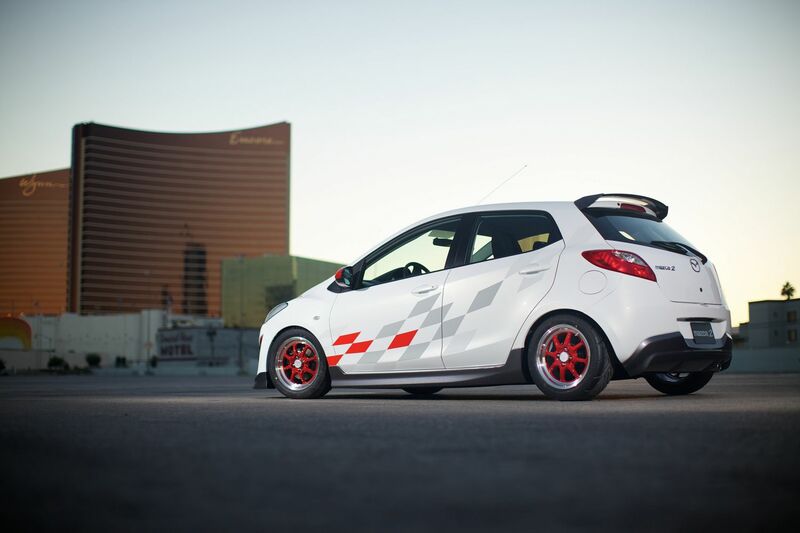 Other additions include a 3D Carbon body kit and a 3D Carbon rear wing. 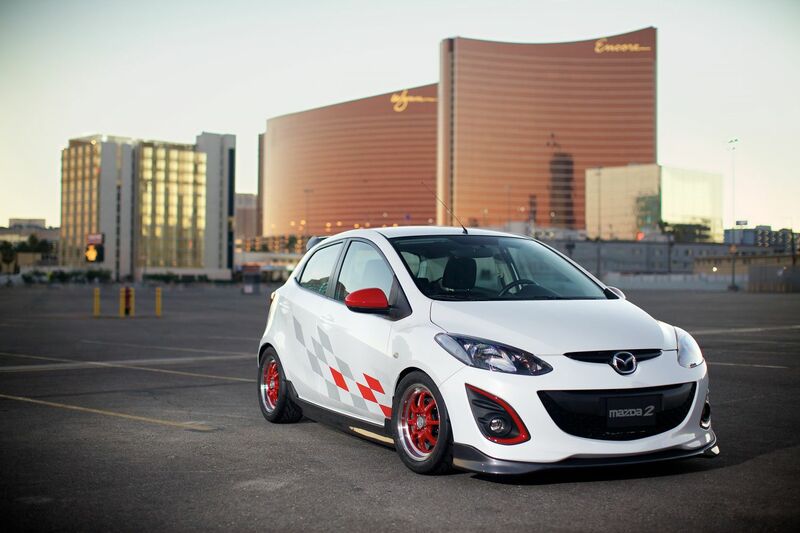 The Mazda2 is a performance car that can’t help but make you smile, and is sure to find favor with subcompact car customers both in the U.S. and abroad. Come see this unique car at H&R’s booth, # 21402.